For a vast majority of golfers, practice takes place either at the driving range or on the course, and at times, the self-motivation to head to such a place is not always as high as one would like. However, what if there was a driving range right in your back yard, garage, or even in that spare room? Wouldn’t that make the logistics of practice that much easier? 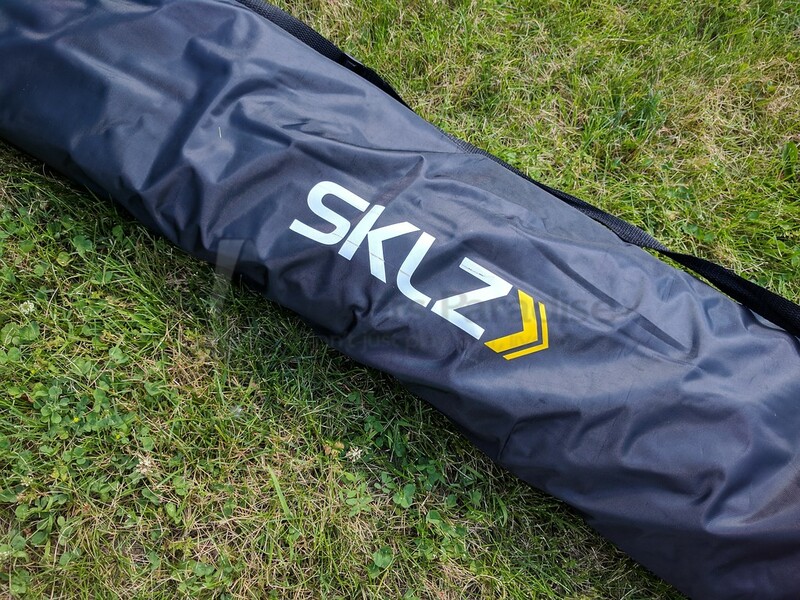 Unquestionably, the answer is yes, and to facilitate such a need, SKLZ has fashioned a durable hitting net that is easy to set up and take down with their product called the Golf Dual Net. Setting up a hitting net every time one wants to practice could sound a bit tedious, however the Dual Net can easily be set up in less than two minutes. Built with a simplistic design, the package consists of five connected poles for the base, along with two tent style poles which connect to the base and hold the top part of the net. Fasten the netting to the frame, and let the practice sessions begin. In order to demonstrate how to construct and deconstruct the SKLZ Dual Net, please watch the video below. As one can see, the setup procedure for the Dual Net is very straightforward, and in real time, was completed in just over 90 seconds, with the tear down being right around the same time. With this product from SKLZ, transforming an open space into a useful practice area takes just about the same amount of time as purchasing a bucket of range balls. Once ready for use, the Dual Net does nearly everything one would want with such a purchase. Starting with the size, this hitting net measures in at 8.5’ wide by 8.5’ tall, providing a nice big area for this net to collect shots. 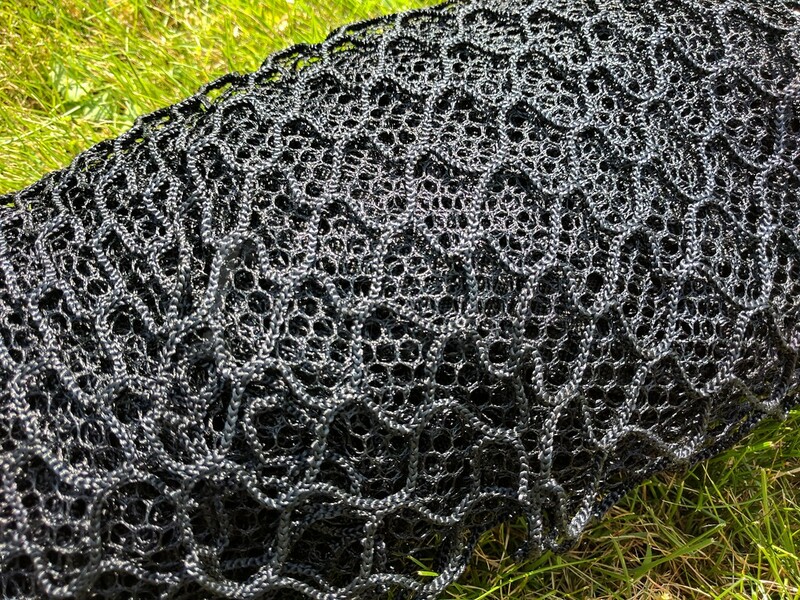 Not only does the netting offer plenty of surface area, but it also allows for two different reactions depending on how one connects the net to the base. By design, the netting can be set up to either softly collect balls hit in to it, or can be stiffened up a bit in order to give a slight ball return effect. Those who will use the net on a harder surface will see the benefit of the ball return more clearly. When using the net as a ball return on grass, there was not near as much consistency in the return ability, nevertheless it still works. Perhaps the most important aspect of this net is not that it is easy to set up, or can be used as a ball return, but that the netting material is strong enough to handle whatever kind of shot hit its way. That means it can handle everything from a soft pitch shot to a grip and rip driver. After all of the testing this has gone through, there has not been any noticeable wear or fraying on the material, which speaks to its durability. Just in case there is ever a ball that busts its way through the initial netting layer, a second layer of netting will catch and collect the ball. That part of the net should not see much action, but it does grant a greater peace of mind knowing there is a second level of defense. There are just two minor areas in which the dual net could offer a bit more in functionality. Making sure that the net is secured to the ground is an issue that came up on days when there was a bit of a breeze. In order to keep the net from tipping over, SKLZ included some stakes in the package. While the stakes did work as intended, they were a bit of nuisance to both hammer in to the ground and to remove. 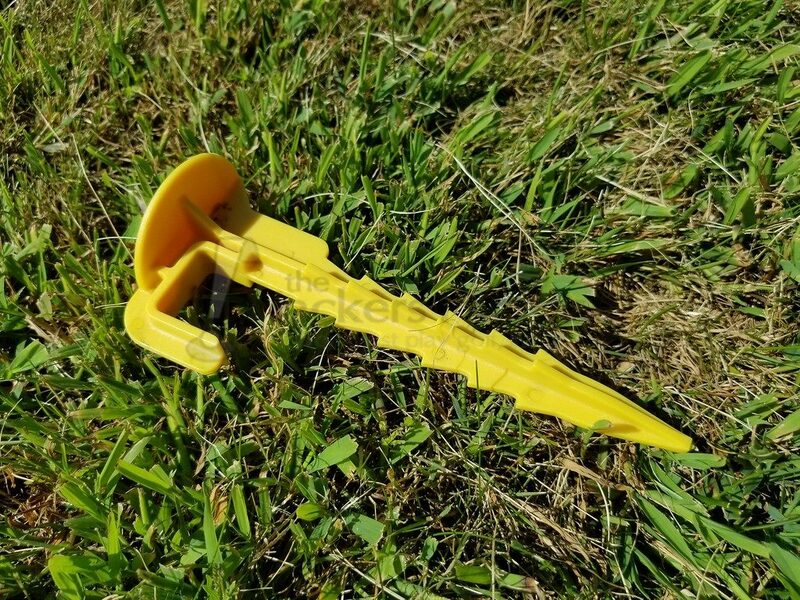 There are alternatives to using these stakes though, as one can go out and purchase some metal stakes that are commonly used on tents, or place some sandbags along the bottom poles when being used on a hard surface. Just know that without securing this net to the ground, there is a chance of it toppling over if there is a breeze present. In this case, it’s certainly better to err on the side of safety. The concern about the stakes could be taken as nitpicking, and this other point could easily be placed in that same column. In terms of size and hitting area, this net is big, but with that said, there is no real protection that is given out on the sides. There are some nets on the market that offer this kind of barrier protection, but the dual net is not one of them. Think back to a time at a driving range when that person in the bay clangs a shot off the sidewall. Unfortunately, it happens from time to time, and since there is no side net, use some discretion as to where this gets set up, and just how far away one places the hitting mat. Having this net available made spur of the moment range sessions a bit more frequent. Being able to have such a quick setup and tear down means that getting in some extra practice is more feasible without having to drive to the course or range. As far as hitting nets go, it’s hard to think if there is a more functional option on the market that offers more than the Dual Net. Built with sturdy frame and durable netting, just one session of use removed any sort of trepidation there was about taking full swings so close to the house. 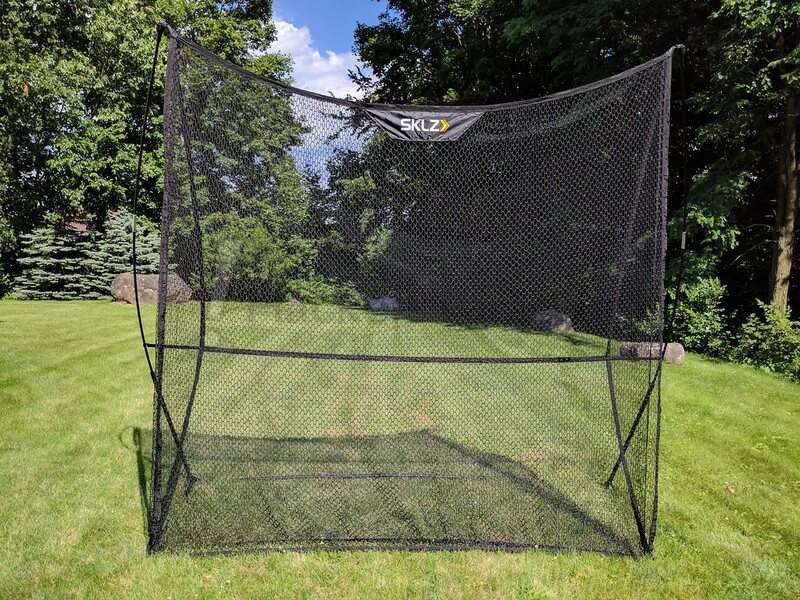 Golfers out there who are interested in adding the ability to practice in their backyard can look at adding the SKLZ Dual Net for a price of $299. More information on the Dual Net, as well as the many other golf specific training aids from SKLZ, can be found on their website at www.sklz.com. Nice in-depth review of what looks to be a well designed and built product. It would mane a very good solution for folks wanting to get in some quick practice without having to pack up an head to a range. There are certainly less costly options but the Dual net looks to be well engineered. Those of us with kids in sports could help justify the cost having them use it as well. For $299 seems like a good price for a well constructed piece of equipment. The stakes are good too for outdoor setup. Solid thoughts on the net Dean. Besides loosening up the ole swing, does it allow you to learn anything about your swing or contact? Solid review, looks like another quality offering from SKLZ. Very easy to put up and take down and enjoyed the video demonstration. Great review and video, really impressed with how easy it is to assemble and take back down. Price is a bit steep in my opinion but if you had the ability to add a monitor of some sort for shot tracking then I could see where one wouldn’t balk as much as the price.